Our previous Canadian Mergers & Acquisitions roundups can be found here. Our previous global M&A roundups can be found here. Acquirer: Nestlé Health Science S.A.
On December 5, 2017, it was announced that Nestlé Health Science S.A. (“Nestlé”) had agreed to acquire Atrium Innovations Inc. (“Atrium”) from Permira Advisers Ltd., Fonds de solidarité FTQ and Caisse de dépôt et placement du Québec for USD 2.3 billion in cash. For Nestlé this represents growth opportunities in the consumer healthcare space which complements their focus on food and beverage. The diversified product mix and R&D assets are a snug strategic fit moving forwards. On December 4, 2017, it was announced that Hyperion Insurance Group Limited (“Hyperion”) would receive USD 400 million in an equity round funding by Caisse de dépôt et placement du Québec (“CDPQ”). This represents a significant long-term minority stake in the group, making CDPQ a growth partner alongside General Atlantic. Hyperion management and employees will remain the largest shareholders of the company. Hyperion is an international insurance group, housing the brokerages of Howden and RKH as well as the underwriting division Dual. In addition to this cash injection, they will be launching a debt refinancing program which will give them the balance sheet they need to execute on their medium term growth strategy. Last fiscal year ended September 30, 2017, Hyperion did EUR 152m in EBITDA. On December 7, 2017, Canada Pension Plan Investment Board (“CPPIB”) acquired an interest in Goodman Hong Kong Logistics Partnership (“GHKLP”) for CAD 320 million. This move was part of an overall strategy of increasing exposure to the international logistics sector with the rise of online shopping. GHKLP has 13 assets worth approximately CAD 4.7 billion including a 50% stake in Goodman Interlink – which is co-owned by CPPIB. Since it was created in 2006, GHKLP has seen strong performance and success in Asia, particularly because of tailwinds from rising demand for Hong Kong real estate. Acquirer: Oaktree Capital Management L.P.
On December 4, 2017, Oaktree Capital Management L.P. (“Oaktree”) entered into a definitive agreement to acquire NAPEC Inc. (TSX:NPC) (“NAPEC”) for approximately CAD 320 million with assumption of debt. NAPEC shareholders will receive CAD 1.95 in cash per share as consideration – representing a premium of 43.9% to the 20-day volume weighted average price on the TSX. NAPEC is an industrial services company providing construction and maintenance services for the North American markets. The price values the company at an Implied EV/LTM EBITDA of 9.9x. As the news broke, shares in NAPEC pushed past $1.95 to $2.00, closing at $1.99 at December 11, 2017. Will is an economics and accounting student from UBC. 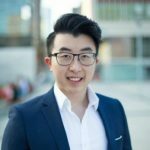 He is currently a corporate finance intern at Dassault Systemes and has previously worked in equity research for Canalyst. Outside of school, he is an alpine ski racer in the winter and a triathlete in the summer.